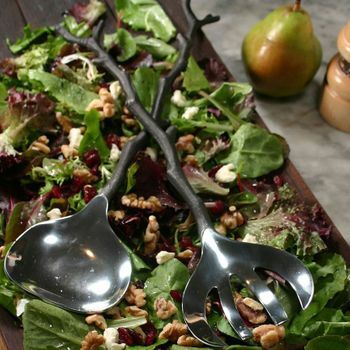 Complete the dinner party necessities with this set of salad servers featuring hammered metal handles. 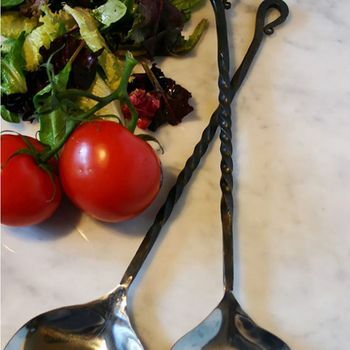 Rustic appeal with a touch of stainless steel refinement on the business end of these tools. 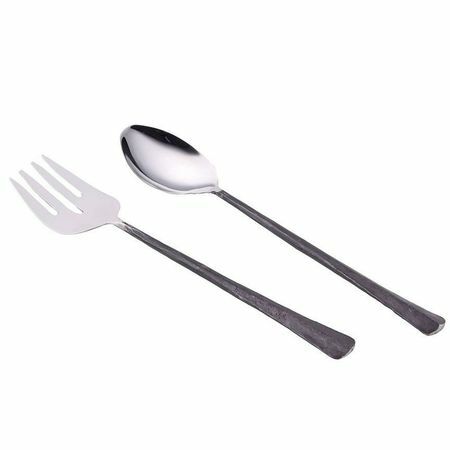 A bit over twelve inches long; set includes salad fork and salad spoon.